Looking for something hot and exciting? Yeah – who doesn’t? Personally, I like chile fruits, and the relatively mild jalapeño is my personal favourite. No wonder, then that I knew right away that I had to try the Conquistador’s Delight! 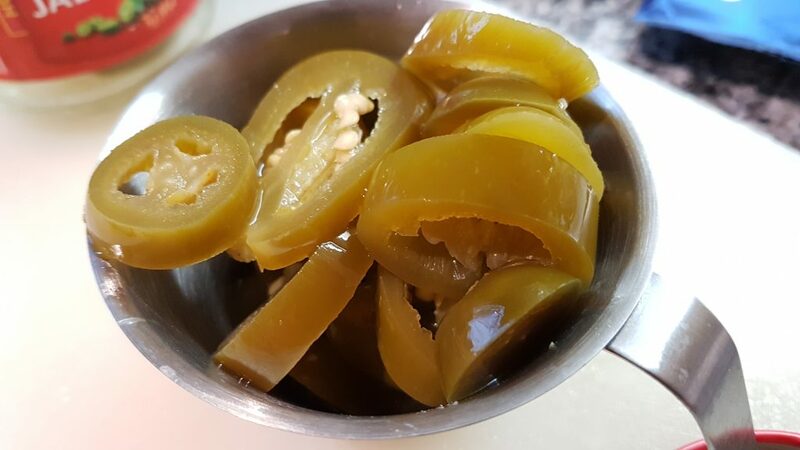 Jalapeño chile pepper – pickled and sliced: exactly how I like them best! A lot of good things originated in Mesoamerica – chocolate and chile peppers are two sparkling examples! The Spanish conquistadors brought the two back to Europe and the rest is, as they say, food history. But history has many facettes: Were the Spanish who arrived to Aztec Mexico in 1519 bringers of civilization, modernity and Christianity? Or were they rather a brutal gang of cutthroats who plundered, exploited and laid waste to both the rich culture of central Mexico and the natives? Or a mix of both? Some historians consider that the answers to these questions perhaps might be more gray than black and white. But we’ll be leaving history behind for now – time to take a look at the recipe! – So, you want to try my peppers? We’ve been cultivating them here long, long before you came by! 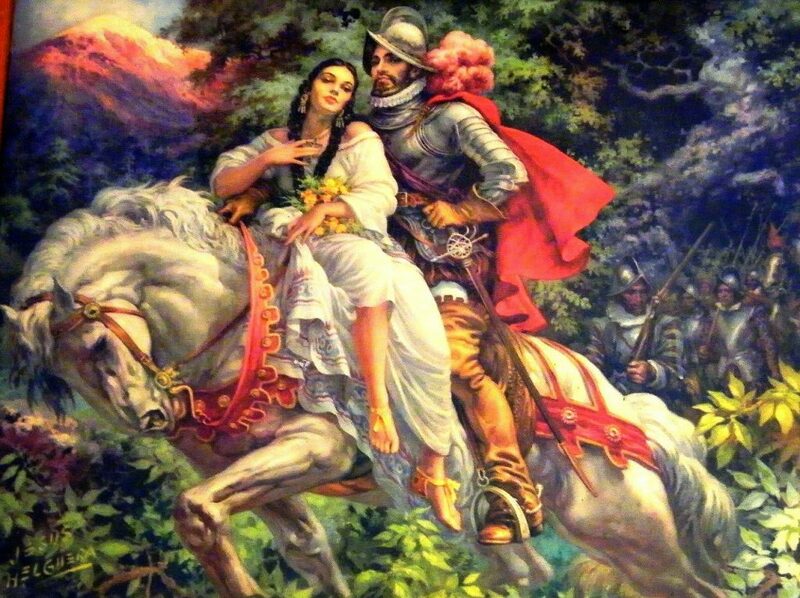 The old engraving depics the leading Conquistador Hernán (Fernando) Cortés and his native interpreter, confidant and partner La Malinche (also known as Dona Marina). Quite a difference from how they are depicted in the first image above, is it not? 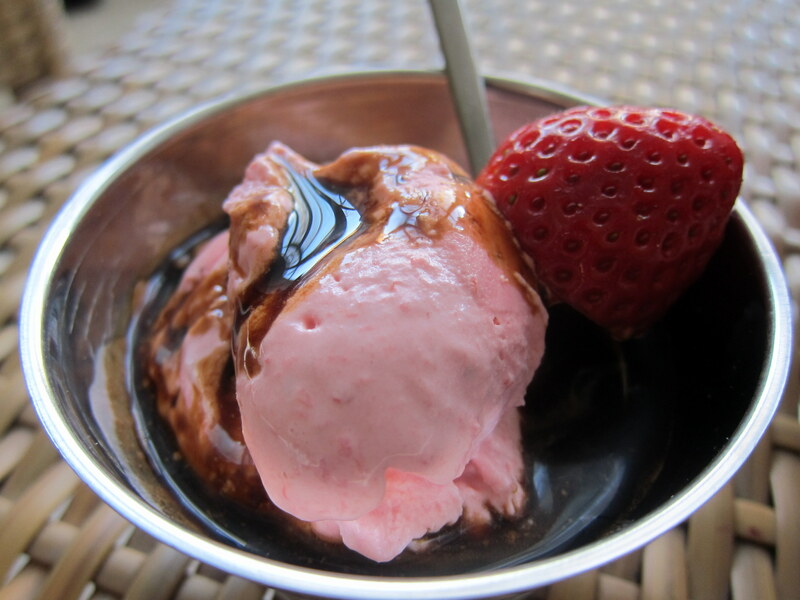 Avid readers knows that I have done quite a few ice creams over the years with chile pepper and chocolate. But there are many chile peppers out there, and new combinations waiting to be tested. My good friend Mats, a dedicated chile specialist in Stockholm, knows of my love for ice cream. He once sent me an article by a certain J. Mark Brown, aptly titled “A Lover’s Tale of Hot Pepper Ice Creams”. 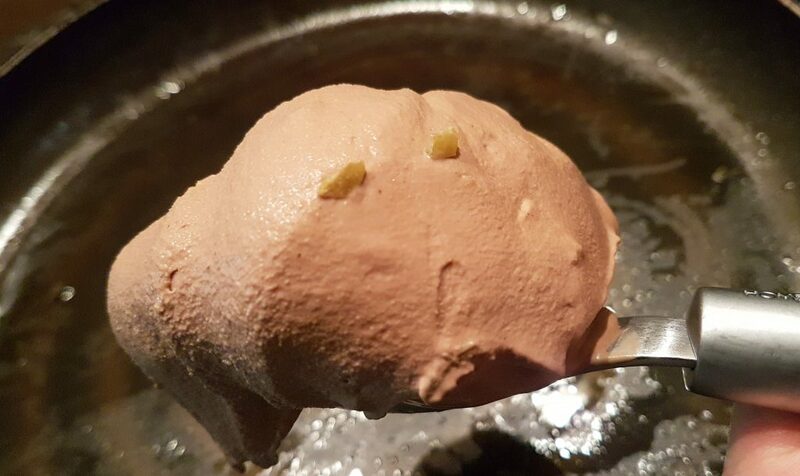 The article contained a few interesting recipe – and finally, the time has come to test the jalapeño ice cream! The recipe itself is fairly straightforward: Basically, we’ll prepare a chocolate custard base and then add some bourbon whiskey. Towards the end of the churning, we’ll then finally add the finely chopped jalapeños (after first having sautéed them in butter). While I have adapted the recipe somewhat (for instance, by using the “modernista approach” to making custard ice cream instead of the lengthier “classic” method), the core-credit remains with J. Mark Brown who also gave the ice cream its name! Let’s start by preparing what goes in last: the chocolate and the chiles. Melt the butter in a sauce pan or skillet and briskly sauté the chopped-up pickled chiles. They should under no circumstances be burnt so be vigilant here: it should only take about a couple of minutes or so. Once finished, set them aside to cool down – the chiles will only be added in the last step. Now chop up the chocolate! The finer the better, since the whole point is to let it all melt down into the hot ice cream base towards the end. Since the ice cream in principle is a chocolate one, make sure you use some good quality chocolate. Try to at least get one with about 50 % cocoa. Personally, I went with dark chocolate with a cocoa content of about 70 %. 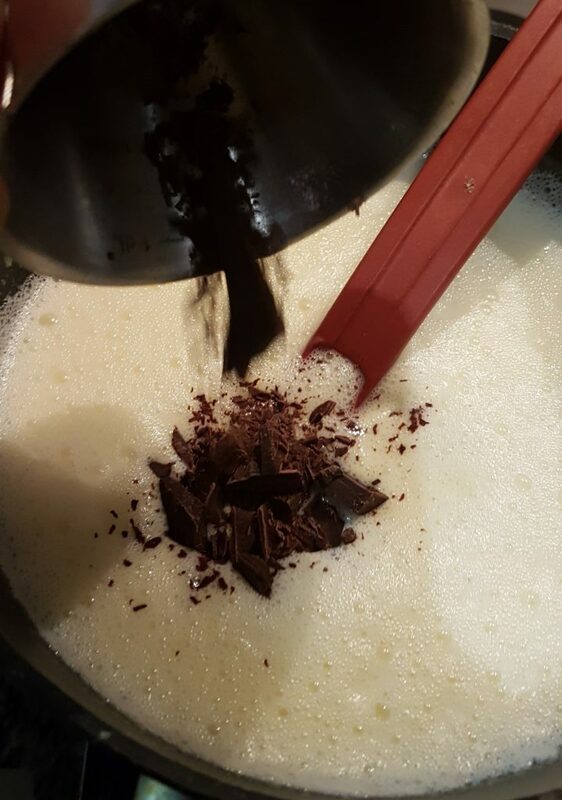 The base is a straightforward custard: I forego tradition and prepare it the modernista way – put all ingredients (except for the chiles, the chocolate and the whiskey) into the sauce pan right from the start and bring the mix up to the nappe-stage. The stabilising powers of the egg yolks should now have triggered, and the eggs themselves should be safely pasteurised. 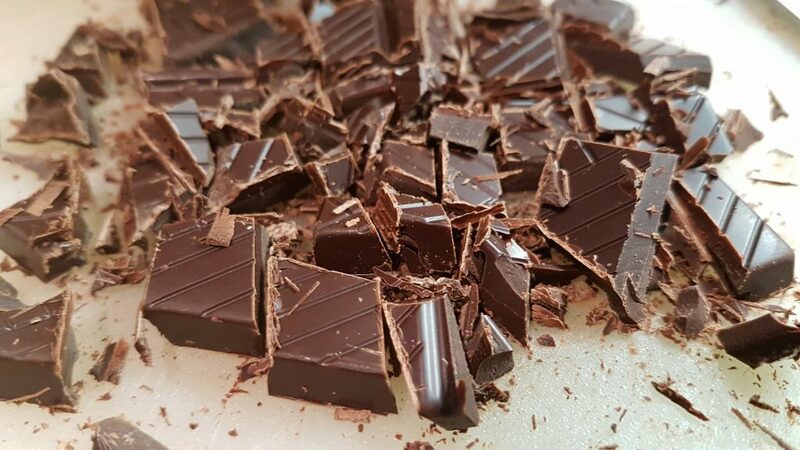 The base has reached the nappe stage – take it off the heat and quickly add the chocolate and let it all melt down. Once the base is hot enough, take off from the heat and add the chocolate. Let it all melt. The recipe now calls for some Bourbon whiskey – You can obviously choose to omit this if you want to steer clear of alcohol in your ice cream. 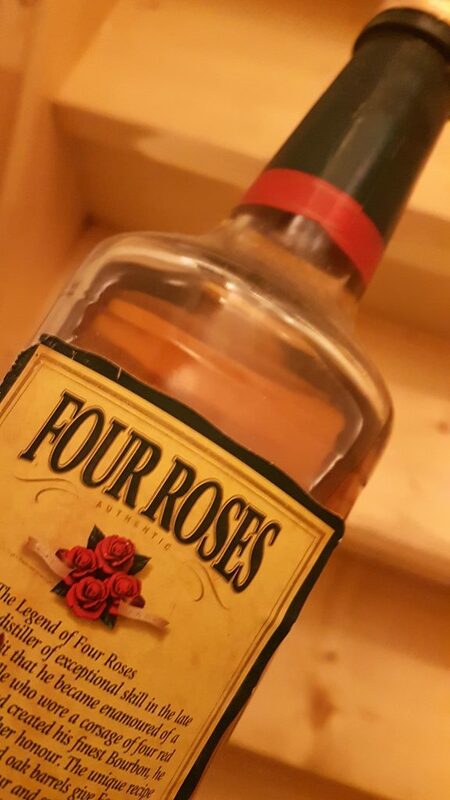 Bourbon whiskey? Well, I suppose the origins of the recipe were American so why not. 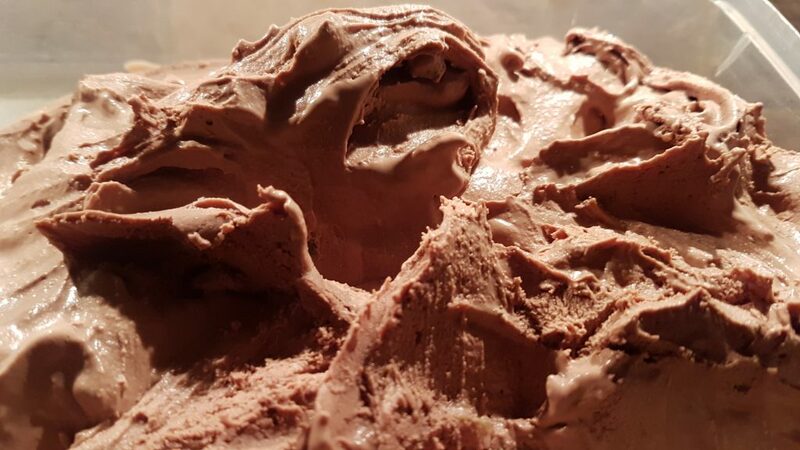 When the base has cooled down and preferably even chilled a couple of hours or more in your refrigerator, it is time to churn it in the ice cream machine. 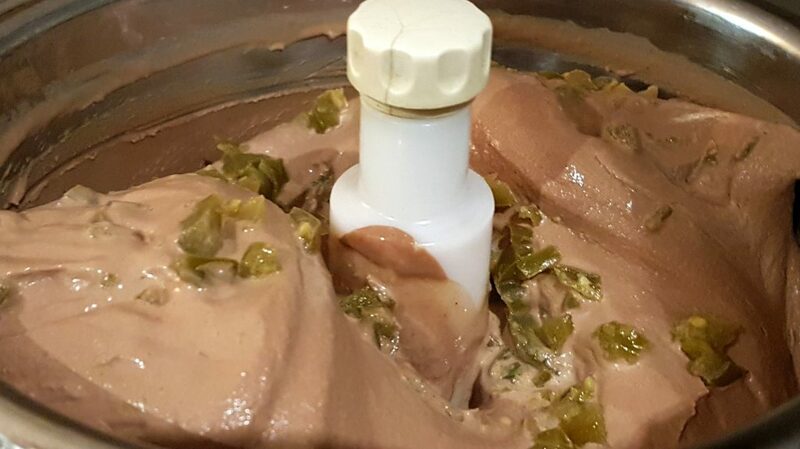 Towards the end of the churning, when the ice cream has stabilised somewhat but before it is finished, we will add the pieces of our jalapeños (if we add them earlier, they will likely sink to the bottom quite quickly). The churning goes towards its end – time to add the sautéed pieces of the jalapeños! … and the same ice cream after a night in the freezer. Still nicely scoopable, and filled with vibrant flavour! Once in a while, you may want to challenge yourself and other culinary daredevils you may know. Well – Here is your chance! 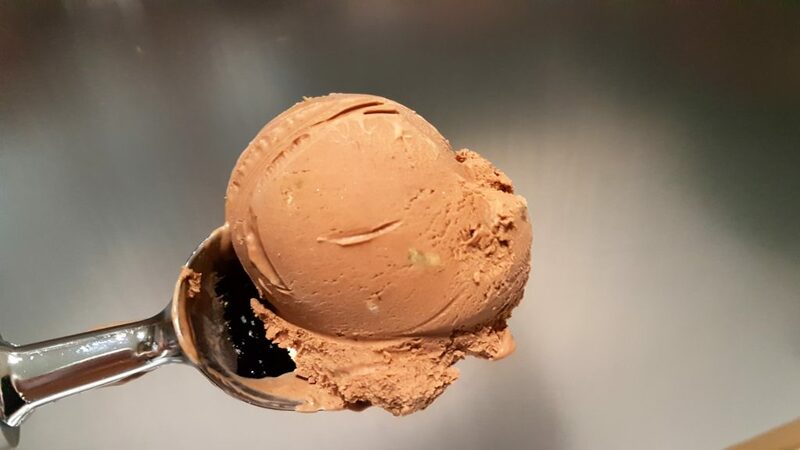 The ice cream is first and foremost a chocolate experience (which is why you should go for a good one with relatively high cocoa-content): if you like chocolate, you should not be disappointed. And then comes the jalapeños – like glimmering gems of spicy hotness in the otherwise rather velvety chocolate experience. I find it diffcult to describe otherwise, but I was certainly impressed with the spicy punch they pulled. 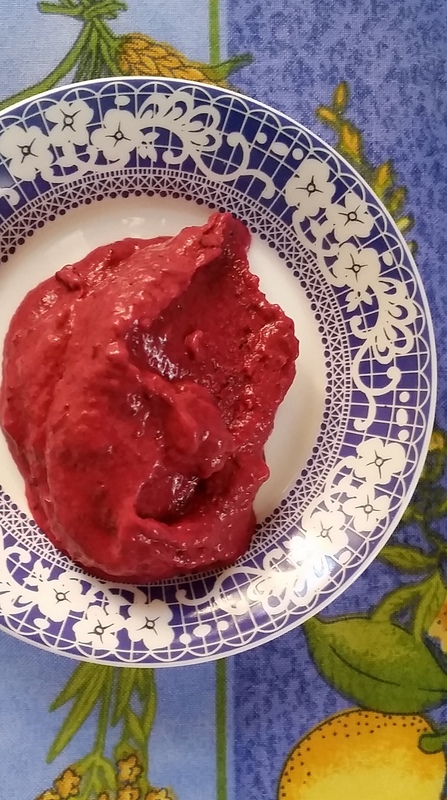 The ice cream’s consistency and texture is also nice: the custard base, although relatively low on eggs, is doing its job and the solids brought by the chocolate and the butter-sautéed chiles also added to the picture. If you also added the Bourbon, you will notice that the alcohol also helps to make the (frozen) ice cream easier to scoop. So – be thankful for the gifts of Mesoamerica and step up to the challenge! – will you conquer or be conquered by the Conquistador’s Delight? Largely in line with a recipe created (and named) by J. Mark Brown comes a delightful contrasting combination of sweet cold and sweet peppery heat. While it should not be dangerously hot, I can testify that the chile pieces bring a good, exciting sting to the party! Finely chop and then sauté the jalapenos in butter. Set aside. Bring all other ingredients - except for the whiskey and pieces of chocolate - to an almost boil. When the mixture has reached the nappe-stage (82-84º C /189-183ºF), take off from the heat. Add the pieces of choclate and make sure they melt. Once all the chocolate pieces have dissolved, add the whiskey and let the ice cream base cool down fully before the churning begins. 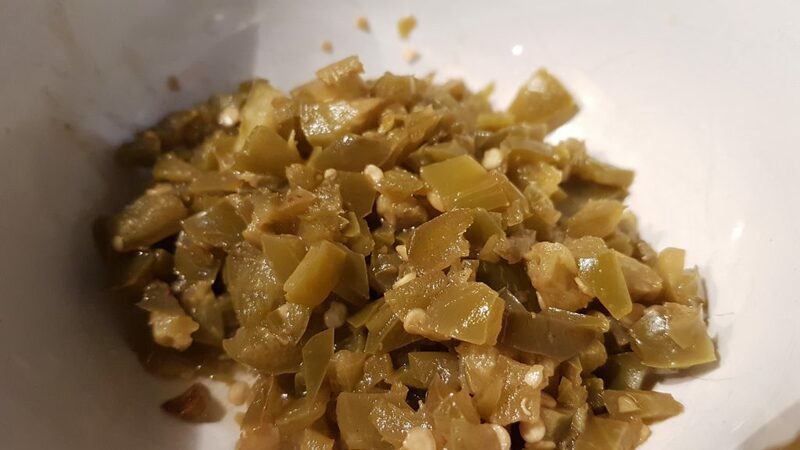 Add the sautéed jalapeno-pieces towards the end of the churning, when the ice cream has gained some solidity but before it is finished.